After 14 years, as ethical farmers and animal advocates have pushed for new rules for the more humane treatment of animals associated with certified organic meats, eggs and dairy, the U.S. Department of Agriculture (USDA) now pushes back. 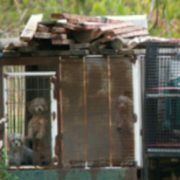 The rules, which have been delayed from implementation three times since January 2017, provided needed clarity on organic animal care and more humane practices. Although most certified organic producers follow the spirit of the law, there are always the larger producers seeking to gain market advantage who continue to confine animals that are required by law to have outdoor access to roam and be treated humanely. According to The Hill, the final rules for meat to be sold as “USDA certified organic” set to take place on March 20, according to the USDA, does not allow “broadly prescriptive stand-along animal welfare regulations.” What that means in double talk is that organic farmers are not required to treat their animals any better than the conventional big production farmers. So when consumers spend four times the amount of money buying eggs which have been certified organic, thinking the chickens are allowed to free roam and live humane lives albeit how temporary, the birds could be stuck in huge coops with barely a paper-sized roost laying eggs and suffering endless injuries and abuses. Under the current rules, producers who participate in the National Organic Program, state poultry are able to move around freely, stretch their wings, stand and engage in normal pecking kind of natural chicken behavior. For livestock, they must also be provided with outdoor space, and when indoors, their enclosures are to be sufficiently large enough and comfortable so the animals are clean, dry and free of injuries. Now the USDA contends it is concerned about the rules, and that this will stunt the innovation and growth of the organic industry – in other words too bad for the animals; farmers should be able to abuse and treat stock inhumanely to increase their profits. “In particular, the rules require all animals to have real access to the outdoors, which must include contact with soil and vegetation, and outline minimum spacing requirements for poultry. This is in fact, what consumers already expect from the organic poultry and eggs they buy in stores. 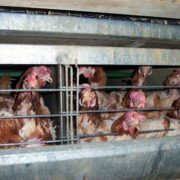 But the largest poultry producers have so far been able to consider small, cement, fenced in areas as outdoor access and have not been required to abide by specific spacing limitations,” stated Cameron Harsh, a senior manager for the organic and animal policy. 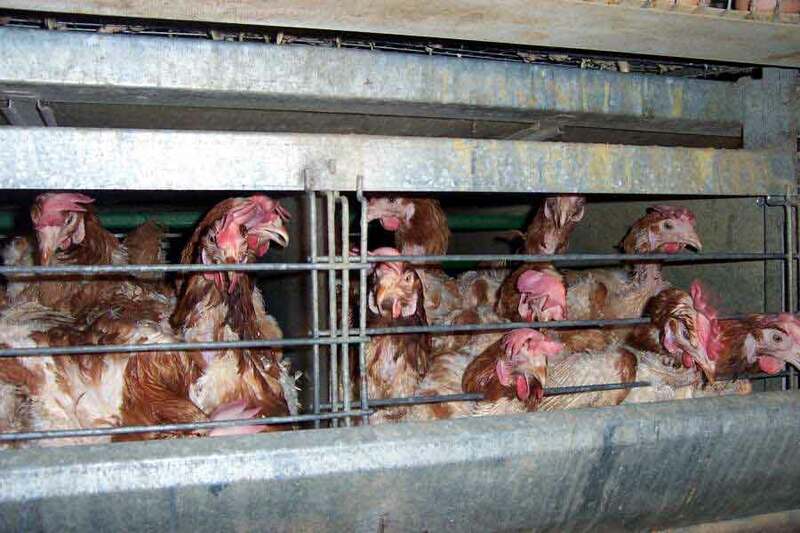 The rule, according to the Humane Society, would have prohibited the large-scale “organic” egg farms that in which 180,000 birds were kept in a barn, at a density of three per square foot of floor space, and never allowed to set foot outside. Starting this Monday, December 18, the public will have 30 days to submit their feedback on the withdrawal of the rules. Instructions for submitting comments can be found at: https://s3.amazonaws.com/public-inspection.federalregister.gov/2017-27316.pdf. Once again the USDA shows itself to be not only incompetent but nothing more than a useless waste of a government agency that does not do the job. This is only to provide factory farms with the cruel and abusive ways these animals are treated and not suffer any consequences for their cruelty towards these animals. ALL animals deserve to be treated humanely – yet this does nothing but encourage factory farms to treat them as they please. its not the use a. its trump. he did this. he didn’t want common decency to get in the way of turning a buck. make America great again means encouraging cruelty to slaughter animals. he thinks animals should suffer terrible so we can save 10 cents. find a company that will not comply to the cruelty for money and only buy from them. the usda has nothing to do with this. what is with your statement. This is insanity! We must share this planet with all God’s creatures and afford them some sort of humane comfort. I don’t want to eat any animal that is filled with stress hormones because of its inhumane living conditions. We need to get back to local sourcing for animals that have true old fashioned farm living. I am willing to pay more.